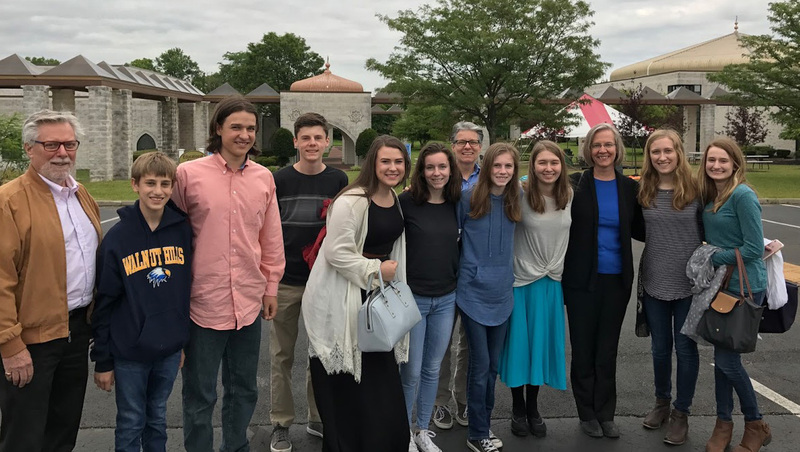 Knox Youth Group, under the leadership of Dave Annett, has partnered with the Isaac Wise Temple and the Islamic Center of Greater Cincinnati to create an interfaith ministry based on dialogue, joint projects and camaraderie. What led up to this venture is an interesting story. Annett grew up at Knox and received his B.A. in chemistry from Wittenberg University, but didn’t enjoy his first experience in a lab at Cincinnati Water Works. He started volunteering with the Knox Youth Group in 2001, then took a leap of faith to join Montgomery Presbyterian Church as a youth director for two and a half years. In 2004 Knox created a position in youth ministry and hired Annett. “It was a blessing to come to a place where I grew up,” Annett said. Along with his wife Kristen and children Jacob (7), Lily (4) and Annabelle (2), the family still worships at Knox. He chose an additional path of studying for the ministry. Annett now drives two times a week to Louisville to study for a master’s in divinity (MDiv) at the Presbyterian Theological Seminary. This is in addition to his full-time job at Knox, easily adding up to 50 – 60 hours each week. He plans to be ordained in 2018 and will follow his strong call for youth ministry. Knox’s youth program includes 30 to 40 kids from the 8th to 12th grades. They take advantage of activities which include confirmation, a contemporary service called Fresh Spirit and community projects. Kids come from 11 different high schools, with Walnut Hills as the biggest feeder. The youth group, with a number of kids from the Hyde Park area, meets every Sunday night. Annett has a budget of only $5,000 for the year, which goes toward food at meetings and materials. One challenge is the children’s schedule is busy, making it hard for the youth program to be a priority in their lives. Annett strives, however, to make the program have a lasting impact. The church has several professionals who often lend their expertise to the youth. Annett said Knox youth ministry took a different turn when it partnered with Isaac Wise Temple and the Islamic Center of Greater Cincinnati. “How does our faith interact with people from other faiths?” many people asked. A friend referred Annett to Rabbi Rachel Maimin at Wise. By 2015, the two religious communities joined together to create a mission project for Our Daily Bread, an Over-The-Rhine social service agency and soup kitchen. 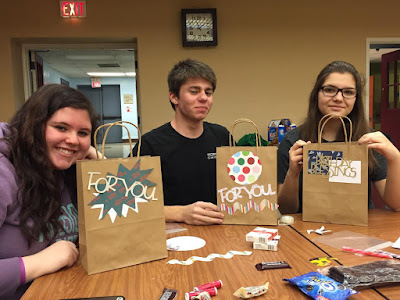 They created birthday baskets with decorated bags and added toiletries. In the fall of 2015, there was an evening event, with kids from both congregations attending in an attempt to get to know each other. They decided to do it again and talked about faith traditions at Kulanu (Reform Jewish High School from several congregations). 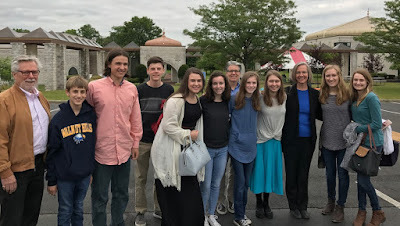 Knox’s kids also attended a Shabbat service - the Jewish Sabbath (day of rest), which begins on Friday evening and concludes on Saturday evening with prayer, singing and meditation. "It was really neat getting together with the students from the other congregations because I ended up knowing many of them from school. Even though we knew each other, we had never talked together about our faith, so this was something new,” said Anne Knellinger, Knox member and senior at Walnut Hills. Rabbi Michael Danziger of Wise Temple, who later assumed responsibility for the youth program, said, "Our interfaith gatherings help us connect what we do in our congregations to the larger world beyond them, which we hope our shared values will help to shape. Perhaps most importantly, we build personal relationships from which all our dreams and visions can flourish." After the groups met several times, they noticed a group was missing from the conversation – the Muslim community. Andy Harkavy, NFTY Jewish Youth Movement, reached out to the Islamic Center of Greater Cincinnati and contacted youth coordinator Ahmad Saqr. He was interested joining the group. Students visited a mosque in June 2017 and learned about Ramadan and fasting to understand more about the Muslim religion. 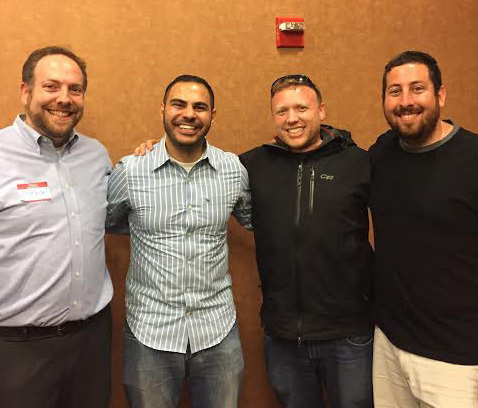 Harkavy, Rabbi Danziger, Annett and Saqr now form the Interfaith Youth Ministry Leadership Team. The group meets every month to plan an activity, usually a quarterly event. In addition to meetings and projects, Annett said the youth program addresses homework issues as well as family troubles. One of the youth leaders is a psychologist who deals with drug issues, suicide attempts and major life events. Knox is a safe place for people to go, according to Annett. Youth leaders strive to stay in touch with the kids even when they leave the congregation. At Christmas, alumns of the youth group attended a party. Two of the current youth leaders are former youth group members. “It’s a blessing to see the kids come back and become leaders,” said Annett. The youth group has taken several mission trips, including Monterrey, Mexico to work with orphan children; New York City in 2012 to work with Youth Service Opportunities; and Washington, DC in 2014 to work with the homeless community. The youth and congregation finance trips. For instance, Knox youth performed Joseph and the Amazing Technicolor Dreamcoat in May, 2017, with proceeds went to the youth program. For more information, contact David Annett at 513-321-2573 or visit the website wwwknox.org.